Yes, all fishes and Guppies sleep! However, it’s difficult to tell when Guppies sleeps since they don’t have any eyelids so their eyes don’t close up. Although Guppies and other fishes generally always seems to be actively swimming around restlessly. Sometimes they do in fact take breaks. If you closely watch over them, you’ll notice that there are periods when they don’t look like they’re actively swimming around. 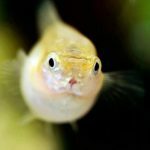 Since Guppies don’t have eyelids, their sleep periods really are more like taking a break from their active swimming. 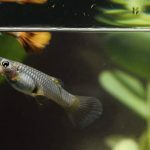 So how can you tell whether a Guppy is sleeping? 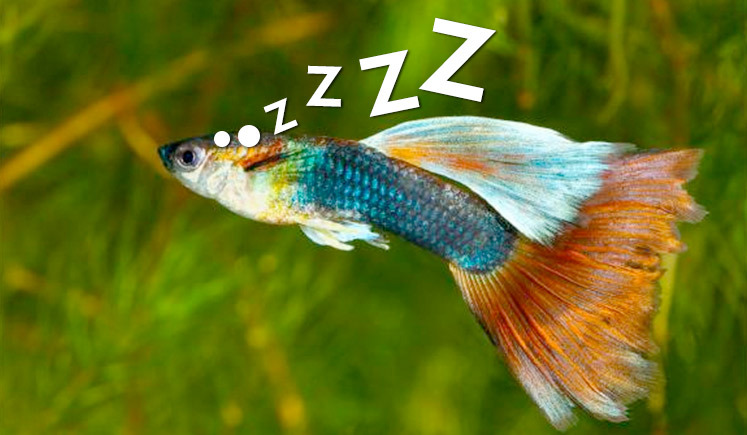 Unlike humans and most animals, Guppies can’t close their eyes when they are sleeping since they don’t have eyelids. So it’s difficult to tell when they are actually asleep. Like us, Guppies typically prefers to sleep during nighttime. You can tell when a Guppy is sleeping by their lack of movement. They usually rest at the bottom of the aquarium tank, on plants or a hiding spot if you decorations. If they feel comfortable enough in their surrounding, they might even sleep while float around. 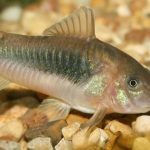 So Guppies can sleep at any time of day but, like humans, they prefer to sleep in the dark, so you notice that your Guppies usually sleep during night time. So it’s important to turn off your aquarium lights at nighttime. 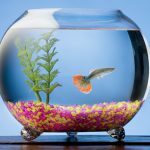 Otherwise your Guppies might not be able to get the rest it needs, leading to diseases. 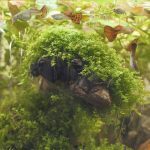 It’s also a good idea to use live plants or any aquarium decorations to create hiding spots so it will feel comfortable enough to rest. 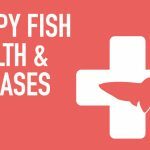 Subscribe to our RSS feed to get the latest articles on Guppy care!